Belmond Grand Hotel Europe has seen it all. Since our doors first swung open in 1875, we’ve hosted Cartier’s first Russian exhibition, welcomed the honeymooning Tchaikovsky's and seen an impromptu concert by Elton John. Yet none of our visitors can rival the infamy of Rasputin. From his arrival in St Petersburg in 1905 up until his death 11 years later, this mystical monk was at the centre of scandal after scandal. Here’s his Belmond story. OVER A CENTURY after his assassination, the story of Rasputin continues to captivate. He was a barely literate peasant who rose to become the Romanov’s most influential advisor. The ‘mad monk’ lived a basic life yet preached scripture. Shrouded in mystery, he was a larger-than-life character who even defied death. Should you want to unleash your inner detective, St Petersburg is a playground waiting to be explored. At the turn of the 20th century, L’Europe restaurant had recently opened within Belmond Grand Hotel Europe. 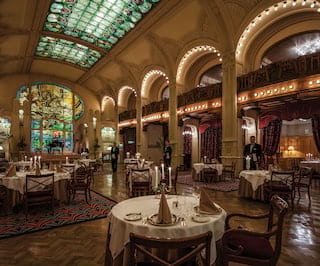 The hotel had been St Petersburg's most illustrious establishment for 30 years, and the town was abuzz with talk of its magnificent new dining room. 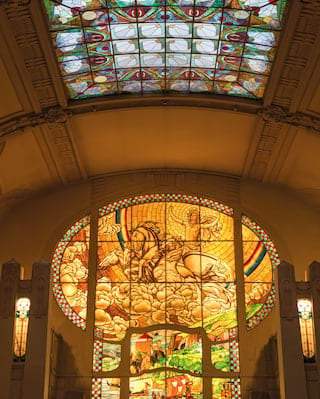 With novel electric lights, breathtaking stained glass and beautifully carved wooden balconies, it was like nothing Russia had seen before. 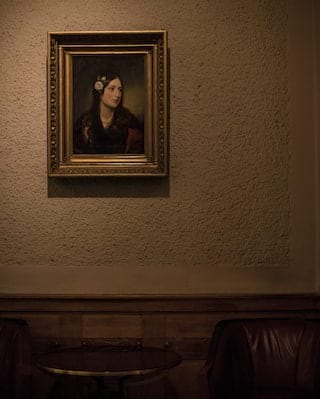 Undoubtedly, Rasputin would have been conspicuous in such a refined setting. His table manners were appalling. If legends are to be believed, he would often invite the city’s noblewomen—many of whom were supposedly hypnotised by his green-eyed glare—to eat directly from his hands. Whether meeting with politicians or entertaining great ladies of the day, Rasputin would sit in an alcove upstairs, drawing curtains so he could conduct his affairs in private. He adored Madeira wine, drinking up to four bottles a day. After a few glasses, he would rise and dance ecstatically. Until the year of his death, Rasputin continued to frequent L’Europe. Why not pay homage by dining at L’Europe the Rasputin way? Take an upstairs alcove and order hot smoked sturgeon or smelt, with plenty of fortified wine and traditional sweets to finish. Should you want to immerse yourself further in his story, reimagining his last steps is a great way to see the city. 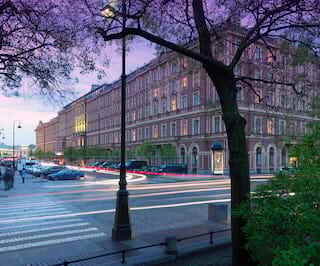 Start at his apartment on 64 Gorokhovaya Street and trace the route back to Yusupov Palace. It’s a lovely walk along the river Moyka and the palace itself is full of charm, being one of the only aristocratic homes in St Petersburg to retain its original interiors. You can visit the dingy cellar, where Prince Felix lured Rasputin to his death, as part of the tour of the palace. It even features waxworks recreating the scene of the crime. According to legend, Rasputin simply would not die. He guzzled sweets and Madeira wine laced with cyanide, endured a flurry of bullets and finally had to be drowned in the river. When he was found, it looked as though he had tried to claw his way through the ice. Of course this version of events is disputed, but so is everything in the Rasputin’s life. Whatever the truth may be, intrepid historians can today stand on the Bolshoy Petrovsky Bridge and imagine Rasputin being plunged into the icy water. Make the journey to Tsarkoïe Selo, just south of St Petersburg, and admire the opulent Catherine Palace—the amber room is especially stunning. Here too, in Alexandrovsky Park, you’ll find Rasputin’s original burial site. He didn’t rest there long before revolutionaries discovered and burned his remains, but it’s a pretty and fitting way to complete your tour of the ‘mad monk’s’ St Petersburg. Exploring Rasputin’s life is a thrilling way to unlock the city’s rich history. But separating fact from fiction can be hard, so keep an open mind and try not to believe everything you hear.